To represent all your franchises, you need signs that are the same. How can you do this? When you use the same sign professionals for all your locations, you get the same great results with each sign. Dave’s Signs serves businesses all throughout the Ventura and Los Angeles areas. We also take care local & nationwide signs for Famous Footwear, Babies ‘R’ Us, Kragen Auto Parts, Urban Outfitters and many others. 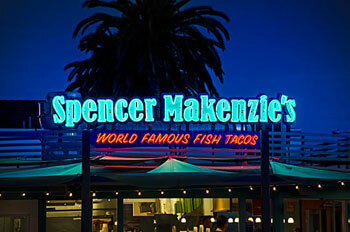 We help many national companies with their sign needs in Southern California. Our clients include Citibank, Verizon, and Hyundai. When national companies hire Dave’s Signs, they receive complete services including, surveys, permits, installations, and maintenance. This makes it easier on companies working on projects in the LA and Ventura areas. Do you want custom signage for all your businesses? Dave’s Signs can work with you on whatever design you want and need. You can let us take care of everything or work with our team of professionals. After the design is complete, we begin the process of fabricating your signs. We can create channel letters, backlit, monument signs, and very large signage. When you want the finest local & nationwide signs for your offices or franchises, come to Dave’s Signs. We take care of the entire process and can manufacture and ship signs to anywhere in theUnited States. Call us today at (805) 641-1387 to find out more.